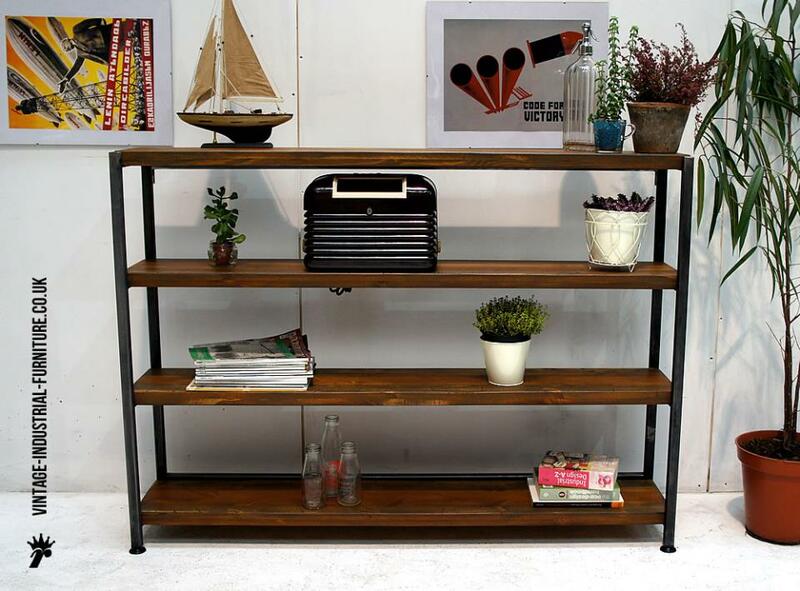 Vintage industrial shelving made from metal and wood. 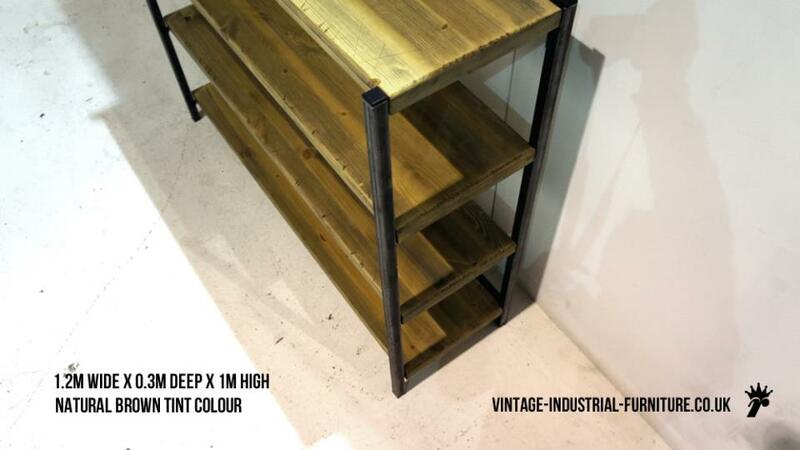 The end supports are constructed in our workshop from steel square tube and sturdy "angle iron". 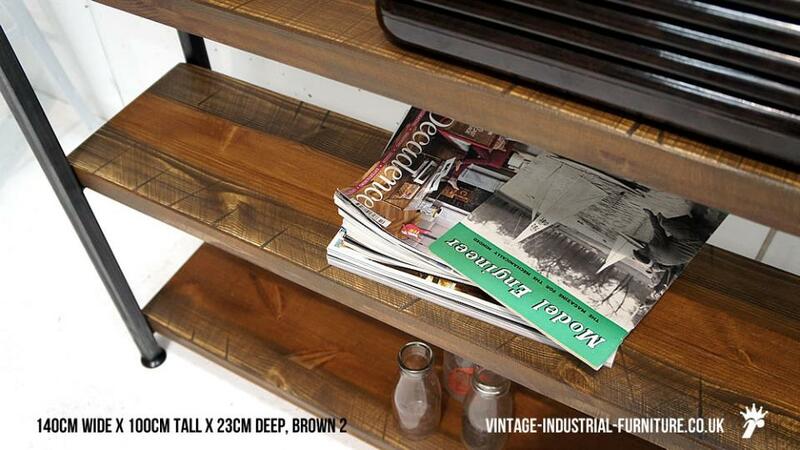 The substantial 3.5cm thick shelves are have a wonderful reclaimed-style to them. 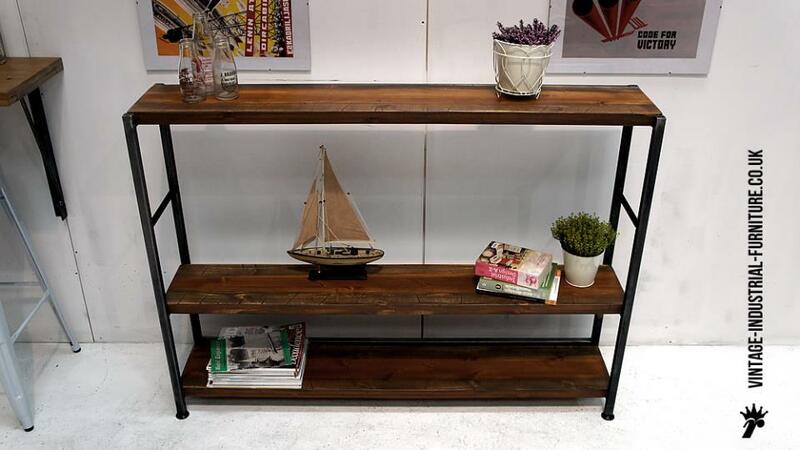 This combination of metal and wood gives this vintage industrial shelving a wonderful, aged, rustic feel. 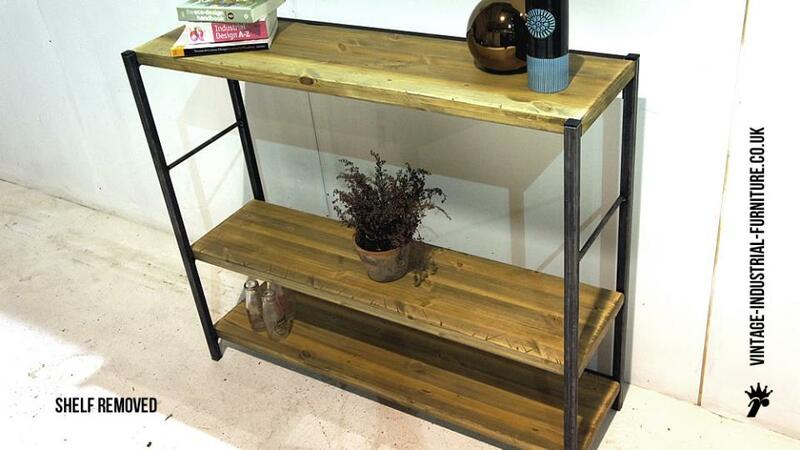 The aesthetic generated by the grey tones of the metal and wood give an authentic aspect. 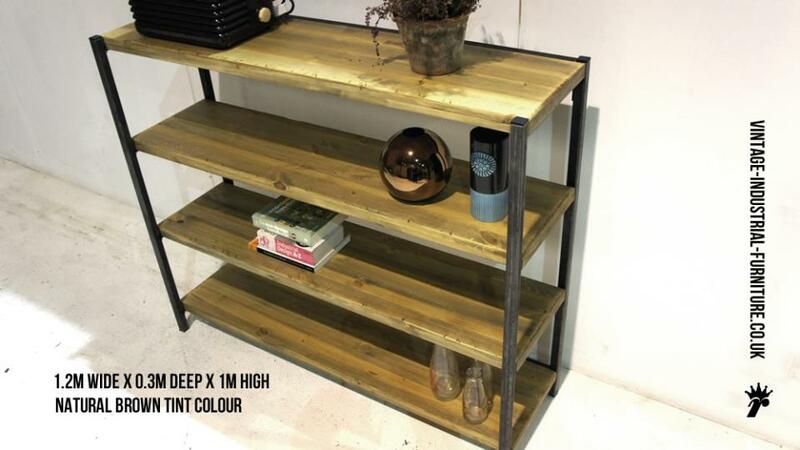 Our vintage industrial shelving looks great in a modern appartment and also older properties such as a traditional victorian terrace. Please click here to see a larger version. 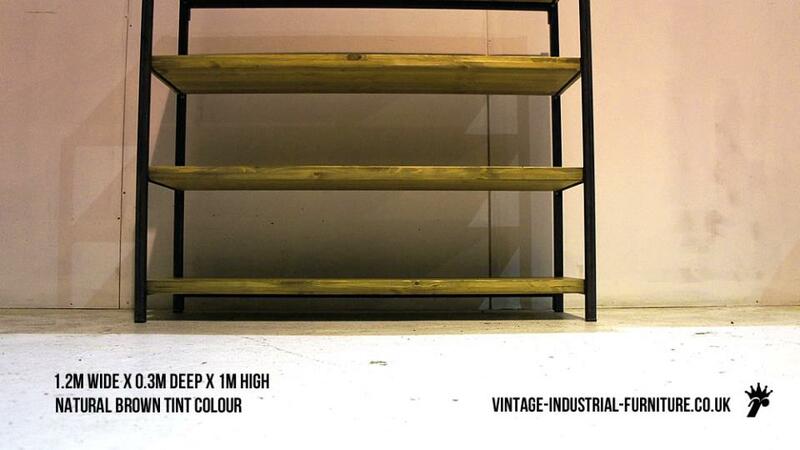 Please ask about bespoke sizes and also see our vintage furniture finishes page. 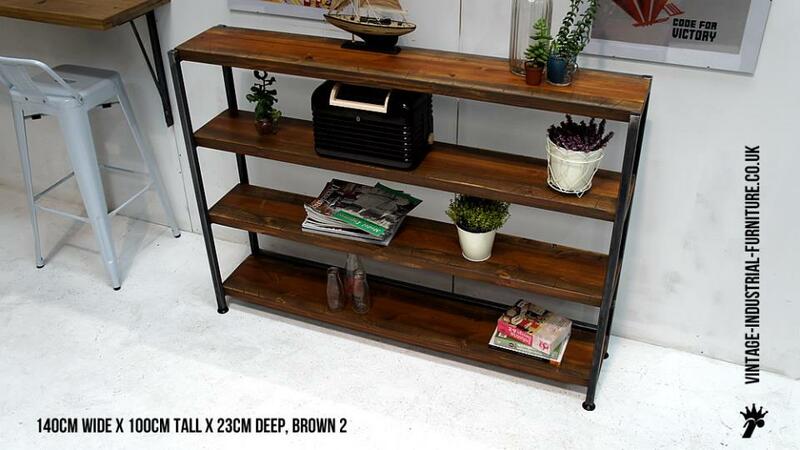 The colour shown in the photographs is "natural brown tint". 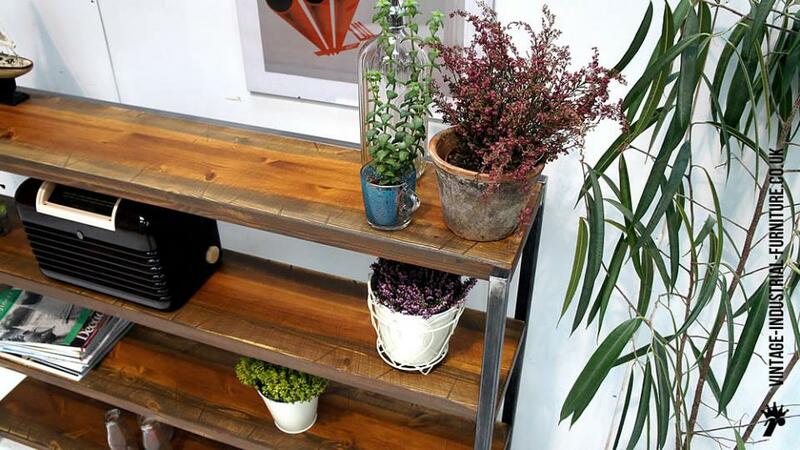 Feel free to contact us to ask questions. 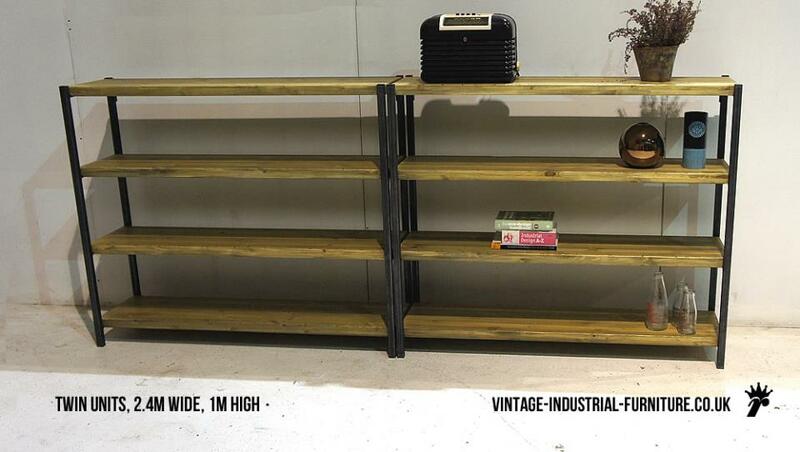 Vintage industrial shelves by Rigg. 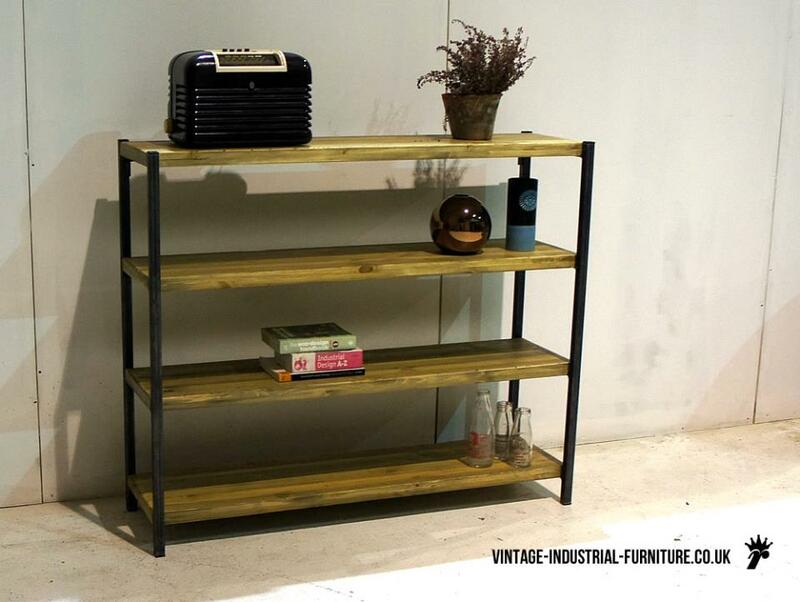 Our vintage industrial shelves typically have an old factory feel to them, being made from wood and metal.